Prior to this August’s Porgy and Bess, Seattle Opera is excited to be collaborating with an organization that joyfully empowers parents and kids to talk about race. 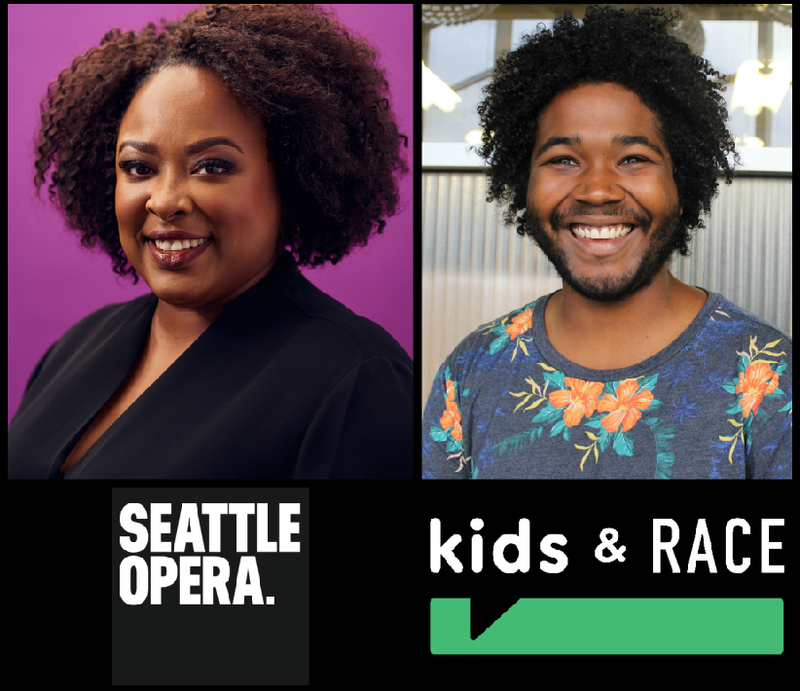 Jasen Frelot, Executive Director of Kids and Race, sat down with Courtney D. Clark, Seattle Opera School Programs Manager, music teacher, and singer (who’s performed the role of Bess). Moving into the future, Seattle Opera hopes to use each opera it mounts as a vehicle for discussion about issues of our time, particularly, surrounding identity, race, gender, class, and more. This August, we’re engaging with a variety of voices from the Black community, as we attempt to spur larger conversations about how Porgy and Bess resonates in the 21st century. Courtney and Jasen, both artists and educators, discuss Porgy and Bess within the context of Seattle’s largely white progressivism. Is it necessary to prepare your kids to see work that might be considered dated or offensive to some? 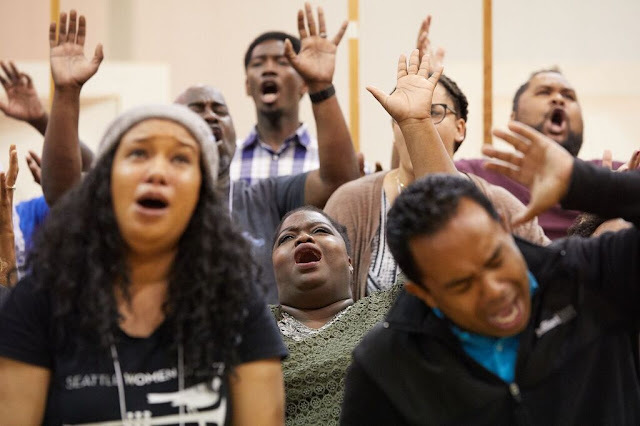 What’s the impact of experiencing an opera where only the Black performers have a voice? Dive into the conversation to learn more below. What up, freedom fighters? This is your friend Jasen Frelot of KidsandRace.org. I am so excited to have, probably, our biggest guest ever, Miss Courtney Clark. We’re here talking about Seattle Opera’s production of Porgy and Bess. And this is not the Los Angeles production of Porgy and Bess, this is not the Atlanta production of Porgy and Bess, this is not the Chicago production of Porgy and Bess, this is the Seattle production of Porgy and Bess. COURTNEY: At the best level, in my opinion, that it’s ever been produced. JASEN: Tell me about this! COURTNEY: This Porgy and Bess is being treated like any other opera. We auditioned each cast member, just as we would audition each cast member for La Boheme or Il Trovatore. We did not bring in a traveling company. We gave it the same attention that we give any other opera. JASEN: So, was this with all local artists? COURTNEY: No, we’ve got some artists who are at the top of their game right now (from all over the U.S. and internationally as well), and that is unheard of. JASEN: Drop some names, drop some names. COURTNEY: We have Angel Blue, for one. Derek Parker. Jermaine Smith, Kevin Short. Lester Lynch. These are some really big names in opera. Not big names of African Americans in opera, but in opera period. This, in my opinion, is the level that Porgy and Bess should always be performed. JASEN: And I’m assuming that it’s not. COURTNEY: No, because a lot of opera companies—it’s sad—but from my experience, in the South, they are, generally, drowning in whiteness. It seems like there’s perception that there are no, I guess, qualified People of Color in the community, or they don’t want to take it on—or they don’t think people will want to buy tickets to see it. You have to spend money to get the quality. You have to pay these wonderful people, who are at the top of their game, who are gracing the Metropolitan Opera’s stage, in order to get a quality work. 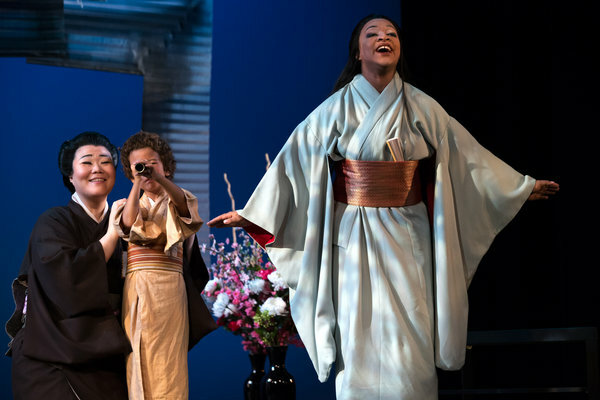 SINGERS AT THE TOP OF THEIR GAME: Brandie Inez Sutton (Clara in Seattle Opera's Porgy and Bess) was praised by The New York Times for her role as Cio-Cio-San when she performed with the Martina Arroyo Foundation training program. Sutton announced on her website recently that she will soon be joining The Metropolitan Opera artist roster. COURTNEY: So, they are passing on a cheaper way of presenting the production, in my opinion. JASEN: So they’re not diving fully into the process. They’re trying to have their cake and eat it too? JASEN: You see this a lot. And I commend Seattle Opera for not doing this, but you see this a lot with white people who are trying to have a diversity initiative, quote unquote. They do it half way, and then blame the Black people when it doesn't work. COURTNEY: Or when it’s murky and it’s not right and you’re a singer in graduate school who can’t take it; you get up and leave because you know it’s not on the level that it should be on. SEATTLE - A 'RACIALLY ENLIGHTENED CITY'? A picture of a Seattle public school classroom in 1994. "Few Seattleites seem to be aware of the large role our city has played in re-segregating America’s schools. 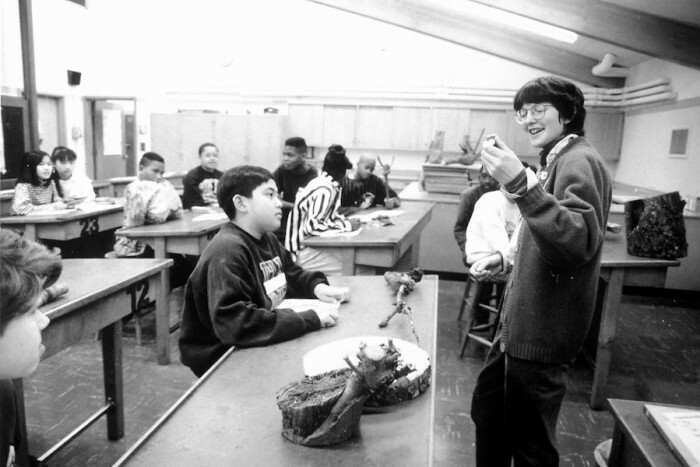 In 2007, courtesy of a suit brought by a group of predominantly white Seattle parents (Parents Involved In Community Schools v. Seattle School District), the Supreme Court dealt a huge blow to education equity when it declared U.S. schools could not seek to achieve/maintain integration by taking account of student race. - Sharon Chang, Time to shed the ‘progressive mystique’ and confront racism in Seattle; Seattle Globalist. Read more HERE . JASEN: And amen to that, amen to that. I mean it’s—you know what, that reminds me. I’m going to tell a story. It’s a little bit off subject but I think that it will fit. At my first ever anti-racism workshop (that I attended), I threw a chair and walked out. I was so disgusted by how I was minimized there. How I was told about what my experiences are from, you know I don’t even think that the person, the main presenter was a Black person at all, I think it was a white woman. I was so upset that I threw my chair and walked out. I think that experience is part of why I started Kids and Race and why I made Kids and Race the way that it is. And why it’s so important that Black voices are telling their own stories. And allowing those stories to be complex and complicated. COURTNEY: Absolutely. Because that is us as a people. JASEN: We are a complex and complicated people. COURTNEY: We just are. We just are. JASEN: And we all have dealt with this oppression in a different way. JASEN: Gabrielle is here with us today, she is also with Seattle Opera, just she’s off mic, but Gabrielle and I were talking a little bit earlier about how different Black people have different experiences and different takes on how Porgy and Bess should be represented. So I want to honor those takes now. JASEN: And speak into it. People say that Porgy and Bess is problematic. That there’s minstrelsy in it. That it’s racist in a lot of ways. The way that the language is used, the vernacular, that that is a racist vernacular. That people should not be listening to it anymore, I would guess. I don’t know. What do you say to that? COURTNEY: Oh, please. You know, first of all, what I think is profound that a lot of people recognize about the work, Gershwin incorporated several white characters in the opera. And, they are there to be as racist … But one thing I love about what Gershwin did is that none of (the white characters) were given singing parts. JASEN: Yes, sort of reminded them of the past. COURTNEY: And it kind of got to the point where they didn’t want to have anything to do with it. They didn’t want to see it. It’s like Gone With the Wind, you know. No one wants to see it, but when they finally see it, they realize this is who—I mean I can pick out about five people in my family to put up on that stage to represent half of those characters. JASEN: And this is what really gets my goat about calling a depiction of 1935 culture a stereotype of minstrelsy is that it spits in the face of the people whose story this is representing … it spits in the face of the people who have worked their entire lives to be up on that stage. JASEN: And to say that those people are being minstrels, or stereotyping is a complete disservice to their agency. 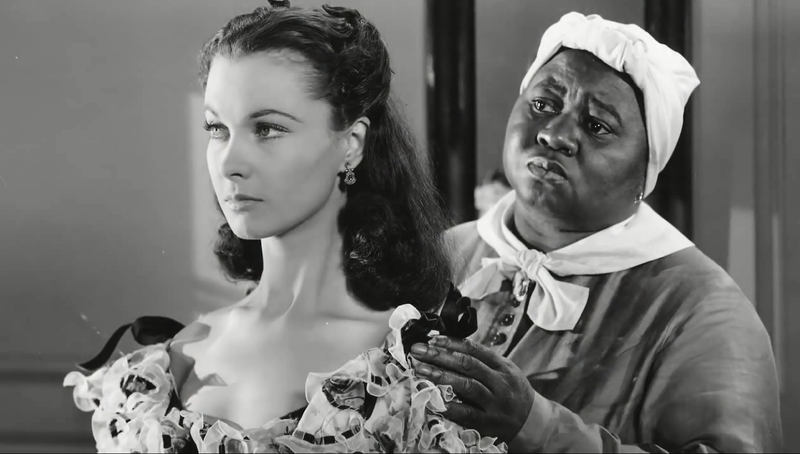 HATTIE MCDANIEL IN GONE WITH THE WIND: "To achieve stardom in this era, black actors such as Hattie McDaniel, who played Mammy in 'Gone with the Wind,' had to feign intellectual dullness, hiding their true intelligence and feelings from whites. The Jim Crow-rooted struggles that accomplished black artists, athletes and intellectuals confronted gradually diminished over the next half-century, as the civil rights movement pushed the federal government to remove the legal barriers that had made African Americans second-class citizens." - Fred L. Johnson III, Why black culture thrives alongside rampant racism; Washington Post. Read more HERE. JASEN: Yes, let’s say this first: intellectually, I don’t agree. Emotionally and spiritually, it infuriates me. So, the Internet—I implore you, I implore you, if you don’t love Porgy and Bess, if you don’t have a true and deep love of the work, and a respect for the artists depicting that work, then just don’t write about it. JASEN: —coming from a place of love, you know, by all means state that critique. But if this is coming from a place of wanting to get attention for finding something wrong with Seattle Opera, then I would bite your tongue, I would bite your tongue. Because it seems like this Black woman, that is sitting in front of me today, is very proud of that work. COURTNEY: I’m so proud of it. And also, I’m right out of the classroom and if I could just see my students, I could see introducing this work to my fourth and fifth graders. And letting them know that you’re going to experience bullying, you’re going to see addiction first hand, you’re going to see the way relationships shouldn’t always go. 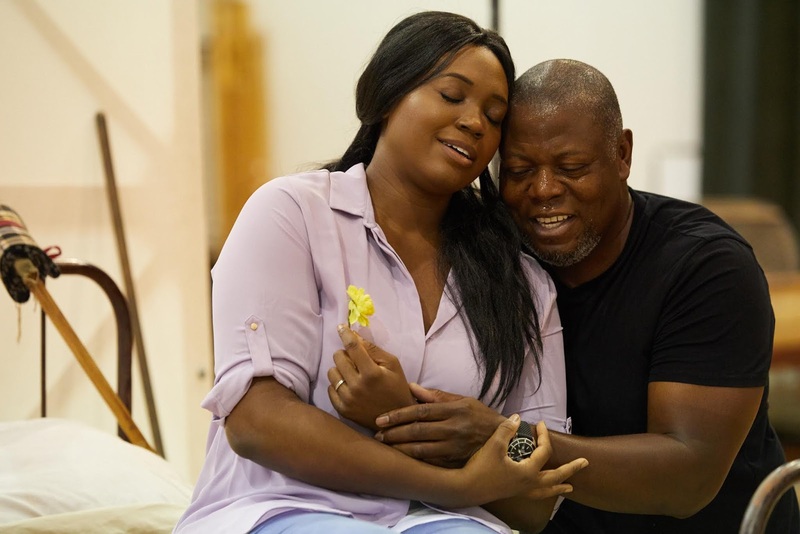 You’re going to see people make decisions, but mostly, one thing that is beautiful about Porgy and Bess, it showed how the people in South Carolina, how they had to live. Black people in general. Yes, we focus on the Gullah, but Black people as a whole, that is the way they lived: in those shanties, in those holes. It showed how they made a living by selling strawberries and crabs and begging on the street. But at the end of the day, even though it looked like a hole in the wall, they had community. JASEN: Let’s talk about children. So, I think it’s clear from our conversation so far, that both of us would be proud to show children Porgy and Bess. I’ve got two children, a 3-year-old and a 1-year-old. I would be proud—well, maybe not when they’re this young, but when they’re 8, 9, 10 years old, I would expose my child to Porgy and Bess. I would allow my kid to see it and experience it without a lot of commentary from me. For white parents bringing their children to this opera, what would you recommend, if anything? A photo from a Kids and Race workshop. 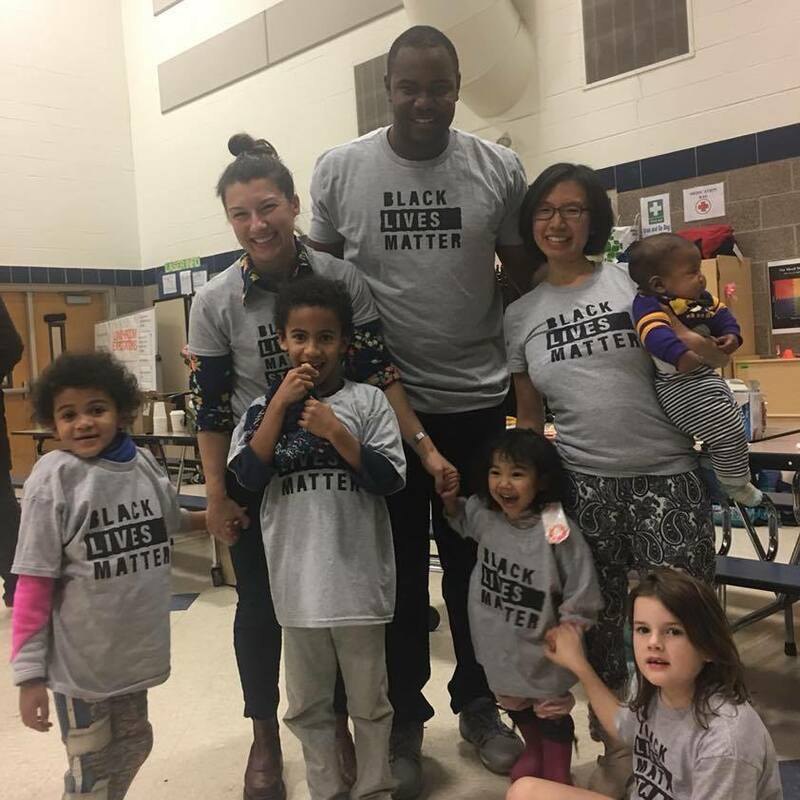 COURTNEY: As a parent for either race, but for white parents, I would specifically—believe it or not, the children are more advanced than the parents are today … They know what’s going on. You may not believe it, but they know what’s going on. And all they need is a safe place and they will show you what they know. That’s coming from the music teacher. But what I would share, and suggest, is to not so much focus on the good, the bad, the ugly, but encourage your children to be critical thinkers. COURTNEY: To have an open mind. COURTNEY: Give them an opportunity to feel comfortable about approaching them on subjects or things that they see. But mostly, guide them so that they know that even though this was written in 1935, that some of these social issues onstage are ones we’re still dealing with. Give your child the tools to be able to cope. And then be able to take that experience onstage and ask questions about it. What does drug addiction look like in my family, my community? We’ve got crack on the streets. We’ve got cocaine in our white community. IMAGES OF NW AFRICAN AMERICAN MUSEUM: A photo from the exhibit, "Posing Beauty" by Lauren Kelley; a young attendee at the NWAM Jazz Brunch, and a photo of the museum gift shop which includes children's books such as "Happy in our Skin," "Crafting with Feminism," "A is for Activist" and "Black Heroes of the Wild West." 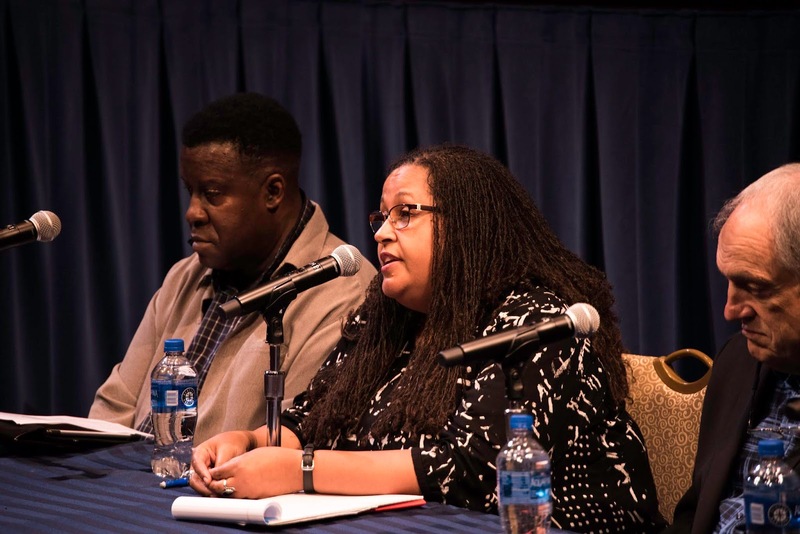 Jasen Frelot, Executive Director of Kids and Race, says nurturing a child's sense of racial justice doesn't stem from "preparing" them to see Porgy and Bess. He suggests instead that parents are conscious of the various arts and cultural institutions that their children get to engage with for a range of Black, Brown and immigrant-community perspectives. JASEN: So, let me repeat back to you what I’m hearing. Having a conversation with your kids about all the racism that they are going to, quote unquote racism, they are going to see during Porgy and Bess, that doesn’t help the kid. COURTNEY: No it doesn’t help. You’re pushing it on them. JASEN: The best thing that you can do is to allow your kid to experience it. Talk to them about what they saw in the piece. COURTNEY: Let them talk to you. JASEN: Oh gosh. Almighty yes, do we need to let our kids talk to us. COURTNEY: Give them the courage to speak up. COURTNEY: Give them a platform to debate and feel comfortable with their parents. COURTNEY: Something you don’t like. COURTNEY: The children are our future. JASEN: This was so much fun. So much fun. Now Courtney, at the end of every podcast we end it with a synchronized “fight the power,” okay? So ready? COURTNEY: Fight the power that be! Learn more about Kids and Race at kidsandrace.org. Thank you! I am bringing my niece to see the show this weekend and grateful for this wonderful insight about talking with her about the show.